1. Basic information about the matrices. 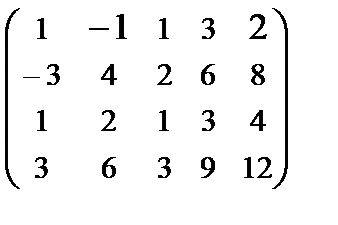 Find the sum of matrices: . 3. What is the determinant order two? What is the determinant order three? 4. Given a square matrix order n. What is the minor of the element ? What is the cofactor (algebraic complement) of the element ? 5. Let A is a square matrix order n. Give the definition of inverse matrix. 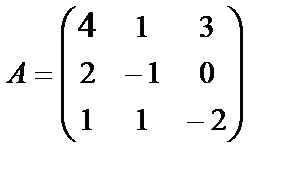 How to calculate the inverse matrix using a algebraic complement? Find the inverse matrix: . 6. What actions are called elementary transformations in the matrix? Describe the method elementary transformations to finding inverse matrices. 7. What is the rank of matrix. 8. The system of m linear equations with n unknowns. What is the matrix and the augmented matrix of system? 9. The system of n linear equations with n unknowns. 10. Solution of n linear equations with n unknowns by the inverse matrix method. 11. The system of m linear equations with n unknowns. 12. The system of linear homogeneous equations. 13. Let and are vectors in the space. Find the length of the vector . 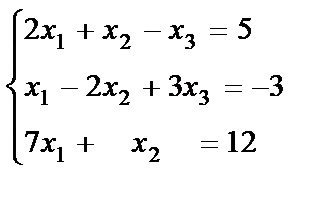 How to multiply the vector by constant ? Find the sum of vectors and . 14. What is the scalar product of vectors and ? Given a vectors а=(1,-2,0) and b=(5,0,-1). Find the scalar product and angle between them. 15. What is the vector product of vectors and ? Find the vector product of vectors а=(1,-2,0) and b=(5,0,-1). 16. Linear dependence and independence of vectors. Investigate, that the vectors x = (3,2, -1), y = (2, -1,3) and z = (1,3, -4) linearly dependent or no? 17. What kind of vectors constitute a basis? 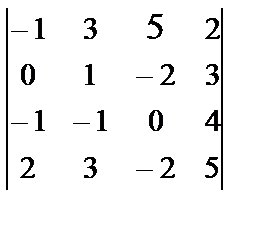 Decomposition of the vector in the basis. Prove that vectors , , is a basis. 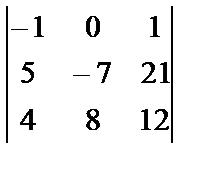 Expanded in the basis ( , , ) the vector : =(2, -1, 5), =(3, 2, 1), =(1, 1, 0), =(5, 6, -3). 18. The distance between two points and . 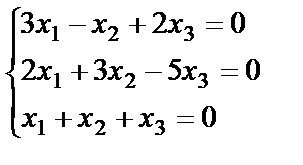 Division the segment AB in a given ratio АК:КВ. Given a triangle with vertices О(0;0), А(8;0), В(0;6). Find the length of the median ОС and the bisector OD. 19. First-order line in the plane. Given a triangle with vertices А(-2;0), В(2;6), С(4;2), and median ВЕ and height BD of the triangle are given. Write the equations of lines АС, ВЕ and BD. 20. Parallelism and perpendicularity of lines. Write the equation of a line, parallel and perpendicular to the line 3х+5у=7, and passing through М(2,-4). 21. The distance from the point to the line. Given a triangle with vertices А(-2;0), В(2;6), С(4;2). Find the distance from the length vertices А to the line BС. 22. The general equation of second-order curves. 23. What is the ellipse? The focus, the eccentricity, directrix of the ellipse. | What is the Parabola?